How to check if you have been blacklisted? Concerned you might be blacklisted? Credit bureaus keep your credit history, both the good and bad aspects. Negative data can include slow or late payments, defaults or blacklisting. Of these, blacklisting is the most serious and will jeopardise your chances of getting finance. Theoretically, you should not be able to be blacklisted without being aware of it but it can and does happen. 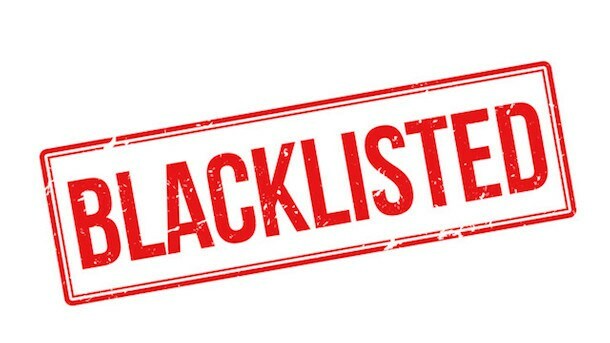 In order to ensure you are not blacklisted, it is important to check. Fortunately, this is easy. South Africans have access to one free credit report per year. These are easy to get hold of and can be done in a minute or two online. You can also get them telephonically. Some credit bureaus have made it even easier by establishing an SMS service where you can check if you are blacklisted or not. While this is useful, it is in your interests to get your full credit report anyway. Around 6 million South Africans are currently blacklisted so it is better to be informed than ignorant. Do not get caught unaware when you apply for credit and make sure you look into this. It can also happen that incorrect data is on your credit report. Knowledge is power and being aware of any blacklisting will enable you to do something about it. Blacklisting will severely impact your ability to get credit and will mean a much higher interest rate if you are able to get credit. It can also prevent you from getting certain jobs where they check your credit record. One of the largest credit bureaus in South Africa, Transunion have an SMS option to find out if you have been blacklisted. The service can also give you your credit score, account status and a credit summary for a nominal fee. Remember, you can get one free full credit report per year. In order to use the SMS service, you first have to register using the UUSD code *120*8801# from your primary cell phone number. To view your free yearly credit report through Transunion, go to their website. Another leading South African credit bureau, Experian, also offer you a free credit report every year. To get yours, simply register on their website. Compuscan also make it easy to get your free report every year through their website. Those are the main three but there are others as well as independent services that will give you access to your credit information. It is worth checking out to see if there are any errors or simply to make yourself aware of any issues. Either way, with a bit of effort, there are actions you can take to remedy the situation. Take advantage of the service that is offered to check your status.